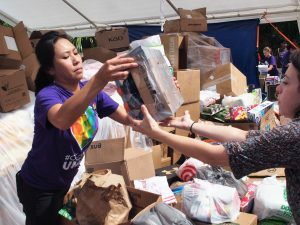 While joining a relief effort in Orlando that included U.S. Rep. Stephanie Murphy and several Florida lawmakers and local leaders, Democratic gubernatorial candidate Gwen Graham blasted President Donald Trump‘s response to Puerto Rico as “appalling” Saturday. Graham said that the world was witnessing “a failure of planning” for a deadly hurricane that was seen coming at Puerto Rico almost a week out. “Puerto Ricans are Americans and they deserve the same attention and response that the people of Texas has seen and what the people of Florida have seen. It’s appalling what this administration has done,” Graham said. Graham, a former U.S. Congresswoman from Tallahassee, also said, “I don’t even have words for his tweets this morning,” referring to Trump’s tweets blasting San Juan Mayor Carmen Yulin Cruz and charging that Puerto Rican workers were not helping with the relief effort, and that all was going well, despite what “fake news” media were reporting. “We need leadership. We need people are willing to have a moral high ground and do what’s right for every American, and he has not shown that leadership,” she continued. Graham, has been outspoken about the need for more help for Puerto Rico since Hurricane Maria devastated the island almost two weeks ago. 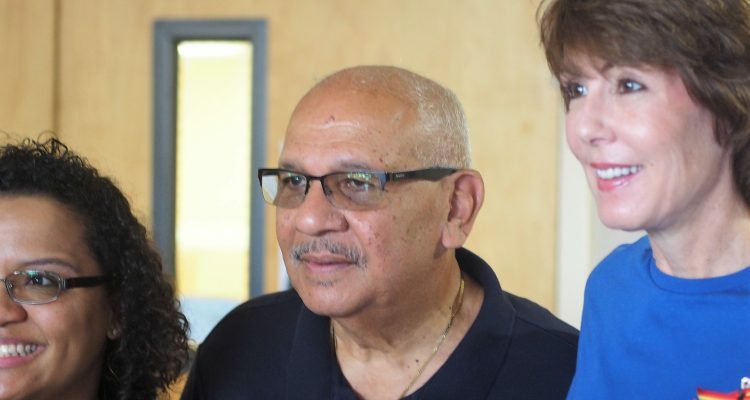 She stepped up her criticism Saturday while joining the relief effort led by CASA at the Acacia Florida Puerto Rican Center in Orlando. Her comments were not alone. 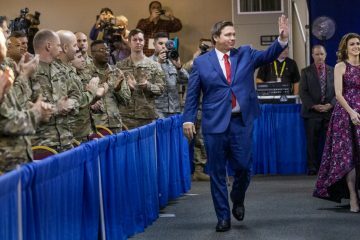 On Friday both of her fellow Democratic gubernatorial candidates, Winter Park developer Chris King and Tallahassee Mayor Andrew Gillum, also blasted the federal response. King accused the administration of letting “self-importance and arrogance” get in the way of help. Gillum accused Trump of showing disregard for the lives and property of people in Puerto Rico. Republican gubernatorial candidate Adam Putnam, Florida’s agriculture commissioner, also has been outspoken about the need for more relief help for Puerto Rico. He urged such help to the Florida Chamber of Commerce at a conference earlier in the week. On Saturday Graham joined in on a relief effort that is filling a parking lot at Acacia in east Orange County with water, nonperishable foods, and supplies bound for Puerto Rico, in a largely private, volunteer effort organized by CASA, or Coordinadora de Apoyo, Solidaridad y Ayuda [coordinated support of solidarity and help], and other community groups. 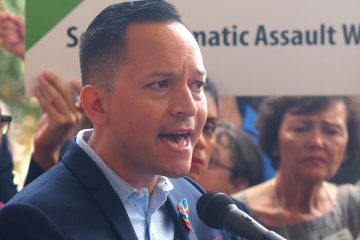 Democratic state Rep. Carlos Guillermo Smith helped organize an additional effort there Saturday through Orlando United, a Pulse support organization, to draw volunteers from among the families, friends, and survivors, and first responders, of the 2016 Pulse nightclub massacre. 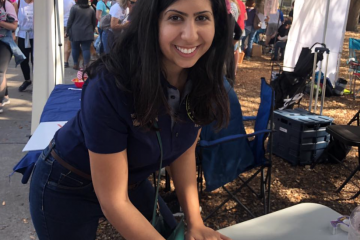 They also were joined by Graham, Murphy, the Winter Park Democrat, and a number of other mostly Democratic political leaders, including state Sen. Victor Torres of Orlando, state Reps. Amy Mercado of Orlando, John Cortes of Kissimmee, and Orange County Commissioner Emily Bonilla. Orlando Mayor Buddy Dyer also had planned to stop by. 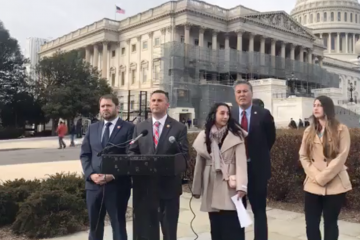 Republican elected official and leaders also have contributed time, supplies, and visibility to the CASA efforts at Acacia and elsewhere, though this day was largely a time for the Democrats. Murphy declined to comment, saying she wanted the day to be about helping Puerto Rico. And then, in an Orlando United/Pulse T-shirt, she went into a relief supplies tent and helped sort donated items, as a long line of cars backed up onto Econlockhatchee Road, full of goods coming in for delivery. “This is a great event. There were over 600 people who said they are going, on Facebook, over 3,000 people who said they were interested. This is a movement of people in Orlando who want to show their solidarity for the people in Puerto Rico,” Smith said. While King and Gillum were not part of the event, they released statements demanding more federal attention and aid for Puerto Rico. “The people on the ground in Puerto Rico are reporting grave conditions and lack of food and water. Relief organizations are appealing to the public to donate and help with relief efforts because the need is that urgent,” King’s statement read.